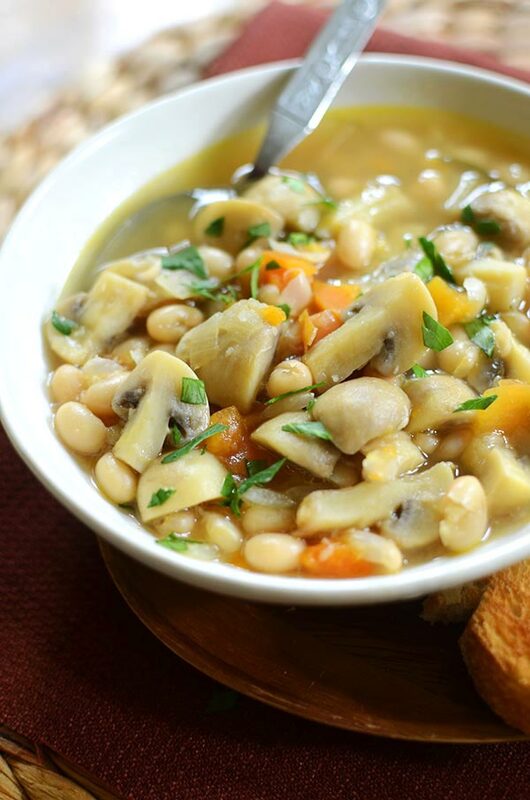 This vegetarian recipe for roasted garlic, mushroom and white bean stew is the perfect recipe for cooler weather with carrots and rosemary. 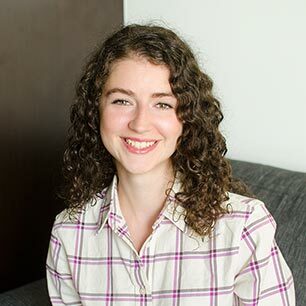 I feel like the blog posts I write and the recipes I develop are so indicative of what is going on in my life at that time. Have you noticed the recent themes of my recipes have been all about quick dishes? Ever since I got back from Italy in August, things have been non-stop. But fall is finally here, the cooler weather makes me want to cozy up inside on the couch and get obsessed with Gilmore Girls and Six Feet Under again — two shows that I always want to watch once the weather cools down. Something else I love to do once the weather cools down? Spend time in the kitchen, of course! 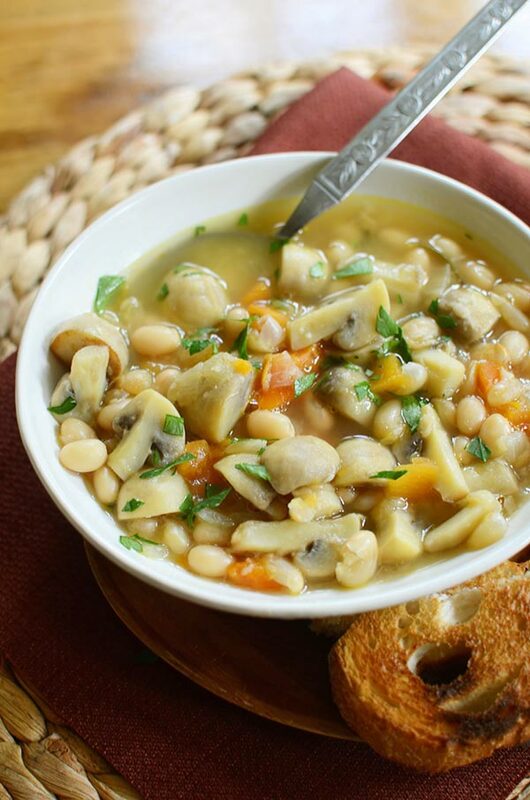 Today I’ve got a delicious recipe for roasted garlic, mushroom and white bean stew with my friends at Mushrooms Canada. This is one of those hearty Sunday kinds of recipes. It’s a little more involved than my typical recipes because it has a two part process. When I was working on this recipe, I found that the mushroom stew was missing something. I toyed around with the idea of adding tomato paste or lemon for a little acidity and brightness, but then I had an “a-ha!” moment; the missing ingredient was roasted garlic. So, the first step starts with a hot oven and an entire head of garlic roasts for 30 minutes while you prepare the other ingredients. This recipe has two pounds of mushrooms which are quartered which takes a bit of time, but it’s worth it in the end. I promise! To get the recipe, head over to Mushrooms Canada! The subtle, sweet caramel-y notes from roasted garlic pair perfectly with rosemary, the bright white wine (I use Pinot Grigio in here because it’s my favourite) and the creaminess of the white beans. The broth is rich and thickened by simmering on the stovetop while the beans break down, the last step is squeezing some of the beans against the side of the pot to help thicken the stew a little more. I’ve been on a bit of a vegetarian kick recently, so if you’re like me, and looking to add more veggies to your weekly meals, (or are looking for a vegetarian alternative to a beef stew), this is the recipe for you. Another reason why this is the perfect Sunday kind of meal is because it makes enough to serve six which means you’ll probably have leftovers to bring to work throughout the week, which, to me, is actually the dream. I find that I’ve been spending way too much money on lunches and takeout, so anything I can cook on the weekend and eat during the week is a winning recipe to me. Disclosure: I was compensated by Mushrooms Canada to develop this recipe. As always, all opinions are my own. 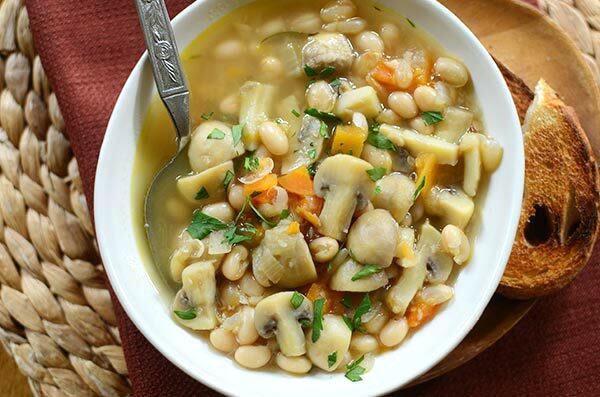 Thank you for supporting my sponsors and allowing me to continue creating content like this roasted garlic, mushroom and white bean stew. Can't wait to make this recipe! I love mushrooms & I love soup! Yummy for our cooler fall weather!